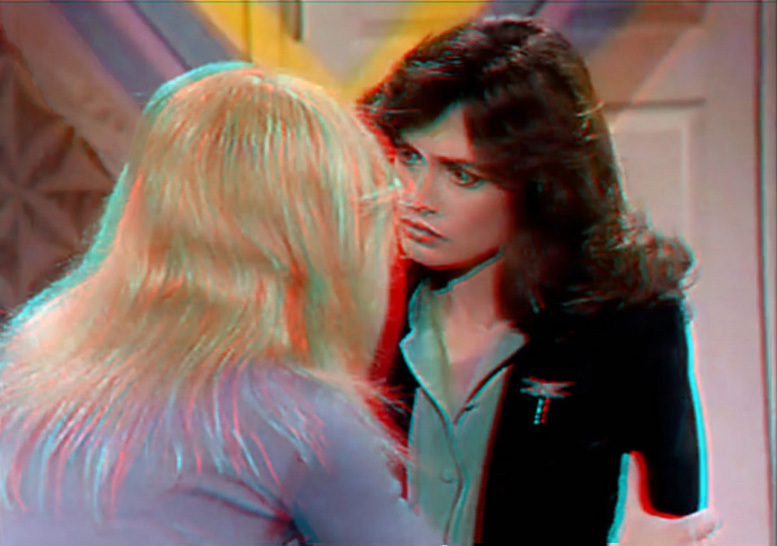 I made these 3D images by my own experimental process directly from the "Sara Rush #1" tribute video on YouTube. These were the only 3 scenes I was able to create from that video. They required Lydia and Deborah to be almost completely still yet with just enough movement that the next available "stop frame" on YouTube had the right amount of angle change, slightly left or right. I tested many scenes before finding these 3. I couldn't get all the cast members in 3D but I tried. It seems like my technique shouldn't even work, according to the normal way of shooting stereo with converging lines. I'm not sure how I made it work but it does and that's all that really matters.